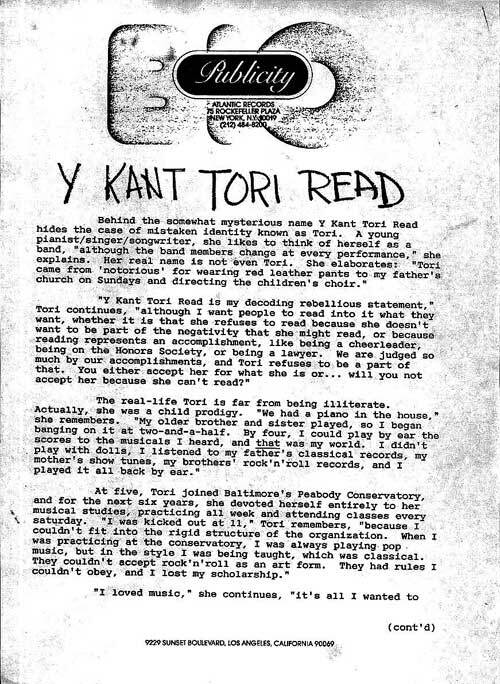 Below you will find some interesting historical items related to Tori's first publicly released effort, Y Kant Tori Read. 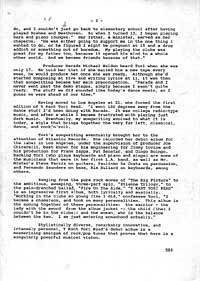 You will find the official Y Kant Tori Read press release from Atlantic Records and a proofsheet of band photos! I was rather excited to receive this item because I can not recall ever seeing it anywhere before! 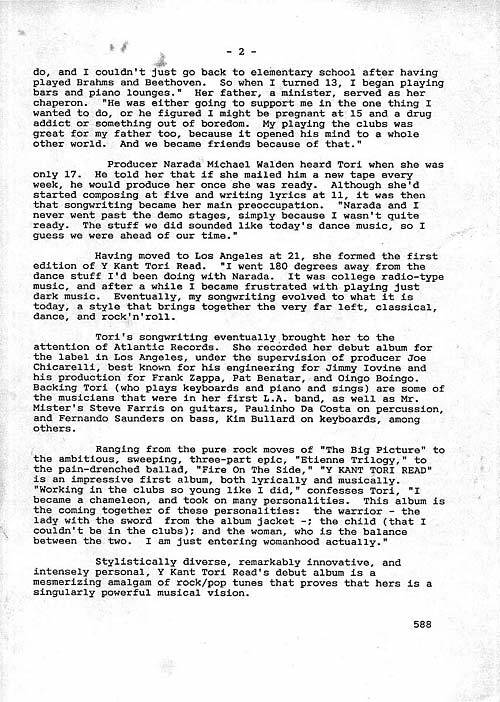 Below you will find scans of the official Y Kant Tori Read press release from Atlantic Records from 1988. I must give credit to MysT who obtained this press release and made it available to all of us. Thanks also to Richard Handal for emailed the scans to me. Robert Mezzio sent me this scan, which he says is from roughly late 1986. 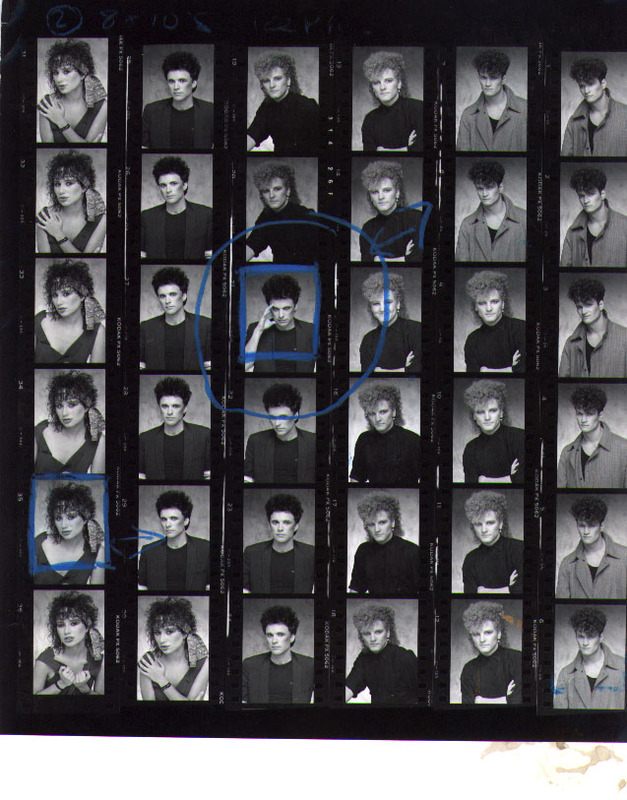 He says, "From what I understand, these shots were done sometime not too long after Tori's cereal commercial, which is why her hair is shorter than other various promo shots you see for YKTR - she was still trying to grow it out, and had a perm. 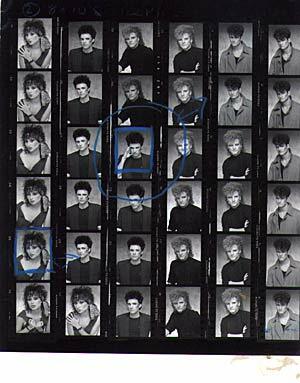 Those crazy 80s!" 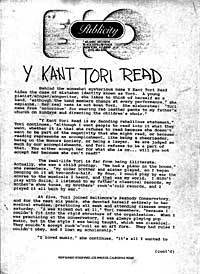 You can read various Y Kant Tori Read album reviews here.